Welcome to Alphabet Zoup Productions! 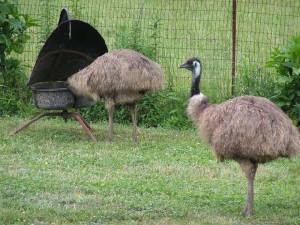 Alphabet Zoup Productions is proud to be producing an in-depth documentary of the emu industry in the United States tentatively entitled "Yankee Doodle Emu." The film is slated for completion by summer 2009, to be submitted to the Sundance Film Festival. This is an industry that has overcome obstacles of bad media and price wars to become a stable industry based primarily on the sale of the therapeutic oil and healthy meat of the emu, a cousin of the ostrich that is native to Australia. While the emu is a fascinating animal in of itself, the documentary will focus as much on the people who have worked so hard to make the industry what it is today. 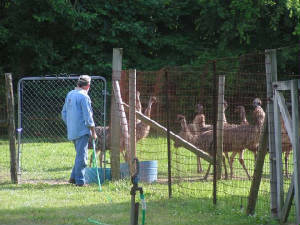 The emu industry is based around the dwindling small family farm, so the consumer has a choice not only to buy the oil that has so many uses and meat that is healthier than beef and chicken, but also a chance to support a small business in this big business world. 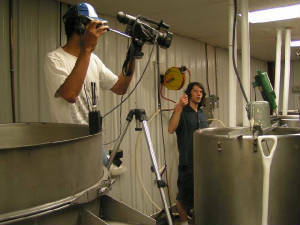 We began production with a trip to Tennessee to the Dino-Meat emu ranch and the LB Processors emu oil refining plant in June 2005. 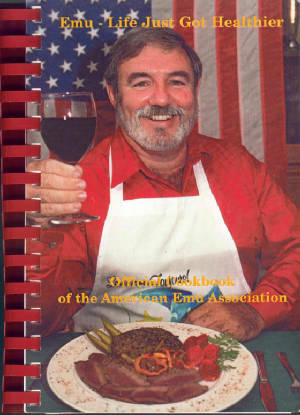 We have since done many other shoots, including a cooking demonstration with Cajun chef Dale Bourgeois and a trip to Wisconsin for the American Emu Association's 2006 annual convention. We even had a chance to hatch some emu eggs and film the results in February 2006! 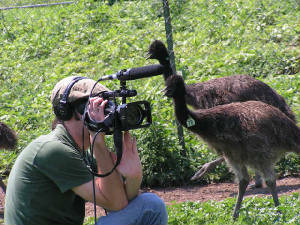 In June 2007, we completed the filming with a two-week trip to several different emu industry insiders in Texas, Oklahoma, and Tennessee. We interviewed a wide range of people, including the author of The Emu Farmer’s Handbook, Volumes 1 and 2, Maria Minnaar. Please look at the other pages on our site for more information about the film, behind the scenes photos, and informative videos.